Angel was great! And very nice. Timely move in and answered all of our questions! Hunter was awesome! I had picked the wrong size storage! But he quickly helped us get the right size!!! Wasnât told about insurance on soarefoitwhich made this a lot more expensive than it was presented. Michelle and Hunter were great. No wasted time, went out of their way to assist me. I had a concern, Hunter was fabulous. Even enlisted the help of the folks in Layton, Great customer service. Long wait, as the office was closed mid-day when I arrived. Another customer had an issue with reserving a unit that was not available, even though she had a confirmation number online. Was an awkward situation to say the least, as she was very disgruntled. The employee showed me the unit, and service was fast. Could do without the compulsory purchase of a lock. 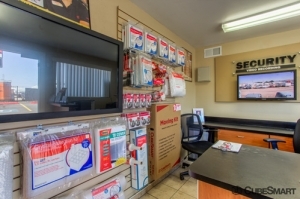 Great location, helpful staff and clean. Tbh I was just looking for the cheapest room I could find. Hunter, working there, was probably the best reason to stay. Great guy, working for his family. Facility... well you get what you pay for. 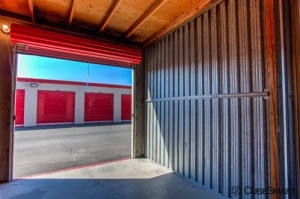 Very secure, as any other storage; security cameras, gate access, and locks on your units. But it's an oldsr facility, the unit area has a weird smell, but the use of the facility is kind of expected for the price. So take it at your own discretion, but I would say best bang for your buck. friendly fast and efficient ! 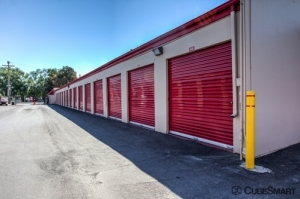 Although the initial cost ended up being more than I was originally anticipating (due to a one time service fee, insurance, and a lock I was required to buy), the staff was incredibly friendly and my storage unit was exactly as advertised. I feel very comfortable leaving my things in this facility. The only downside was the indoor units do not have lights and they force you to use their insurance without a printed copy of personal rental coverage. There guys are great. Very professional. Quick to respond. 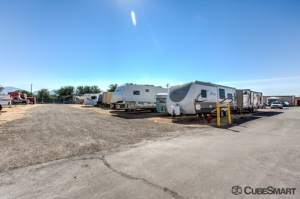 Great prices compared to other facilities. 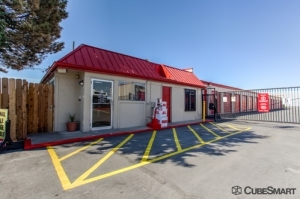 Great location, close to airport. Reasonable rates. I like the location since it is close to the airport and I fly in from out of town often and need a place to store art supplies and paintings. Reasonable rates. Add-on fees like administration and insurance make it not cheap. Andy was awesome! I was running late from work and he waited for me so I could get my unit that day. Thanksyou very much. An have a great day. Wobderful people. They all were very helpful. Nice and clean. Professional staff. The folks at cubesmart are great. Went out of their way to help me when we were struggling to get things together on a snowy move in day. Great price for the space too! They were nice and treated us like friends there, they were really great! All I got to say is that the property is cheap not expansive. I got a good deal. First of all, kudos to Andy for his professionalism from start to finish. 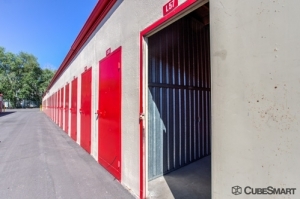 I would recommend this storage facility to friends and family. I set up my reservation online and within an hour I got a call to confirm me moving stuff in. When I got there Andy was expecting me and was very helpful. Great overall experience. Staff were well prepared to meet me at the scheduled time. The process was smooth and clear. I've had no problems accessing and using the unit since moving in. Quick and easy sign-up with minimal paperwork and hassle. Very friendly staff, a large variety of sizes to choose from. I am a student at The U and I needed a place to store my things between semesters. The rates are month-to-month so I did not need to sign and extended contract like at some other storage facilities. The rates are also fantastic. I would definitely recommend this facility for storing items any length of time. So far it hasd beern fantastic, except that the light doesn't work. I was late getting to my storage unit they waited for me to get there. The cost was have of was all the other storage units that I called. Both customer service employees present here helpful, professional and quickly helped me rent a space at the tail-end of the day. Great experience. i recommend this place, they front receptionist is very kind, smart, and gives you a tour and knowledgeable. Great area. Spare foot is a great service, it was easy to use the website to find the unit I needed, quickly. Will suggest to friends. Not too nice or secure but will do in a pinch. There doesn't seem to be security for each unit since there is no exit box requiring my passcode. Regina and Andy were amazing, friendly, and extremely helpful. They deserve a raise...Thanx so much guys!! I reserved and waited until my move in date and everything else was taken care of for me. But they were able to still get me into a unit. I have used cube smart for a while now and they work for me. Best storage deal in town! Excellent customer service! Security there is no question, I feel my storage is safe and sound. 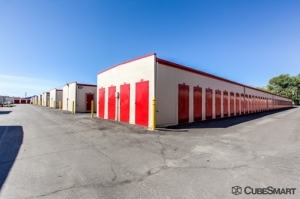 Great value for a storage unit near the downtown area. There is a on-time fee, then you have to buy a lock and then you have to buy insurance! I immediately gave them proof of insurance via fax, but they still charged me the first month's insurance fee. I call and call and CALL and even e-mail but NO response to my request to be refunded the first month's insurance fee! The price you see here is NOT what you will be paying, so it's worth a call... if they will ever return your call! ON THE OTHER HAND, the manager and staff were very nice and helpful, and the facility was clean and felt safe. Working with your team is great! We needed a bigger unit and it was fast and smooth. Had help getting around the road construction to get to the office. Thank-you! Positive experience beginning the lease and moving stuff into the unit. Only negative is that the facility has one entrance on a one way street making it difficult to enter and leave. Quick, good service from the site manager and assistant manager. Gate was just sitting open 3 out of the 4 times I visited. I really wish each unit had its own alarm. With the exception of the ice problem, I have no complaints about the facility. Good customer service. Facility needs work, but told that it is planned. it was an over all great expierence. I love this facility and would most likely to recommend this facility to anyone. I love it! Great experience and feel my things are very safe here! The manager was very accommodating, and every thing was smooth and pretty quick. So far so well! Fast. No time at all to get rented and out of the office. I wouldn't imagine going anywhere else! We have stored our car at the U-Store-It on Redwood Road in Salt Lake on and off for years now. Whenever we come in, Jonathan the manager there always remembers our name and is always VERY friendly. I recommend them to all my friends needing any type of storage. I wouldn't imagine going anywhere else. Thanks Jonathan! !